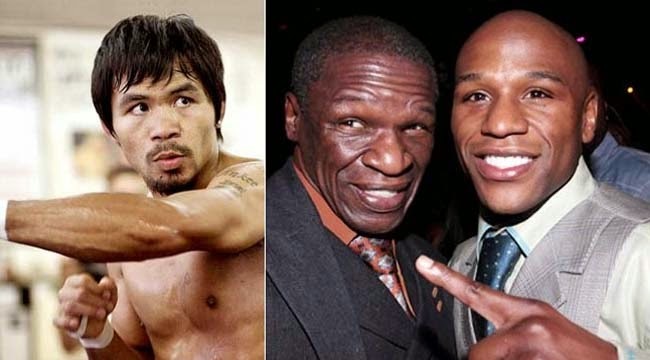 Floyd Mayweather Sr. voiced out his confidence that the Pacquiao against Mayweather Jr. fight will soon happen. While he admitted that his son never told him that the fight will actually happen, he said that the fight will eventually happen. The fight has been long awaited by international boxing fans, and Mayweather Sr. just made the flame of the people’s desire to see the fight more ablaze. Money Mayweather soon clarified that his father is wrong. He also threatened that if his father won’t stop making news about the most anticipated fight that is still unsure to happen without any communications with him, he would not think twice to cut him out of his team. Mayweather Jr also taunted Pacquiao’s lack of knock outs lately. The mega fight awaited by the fans will have a great effect in boxing history since the two fighters will soon be Hall of Famers. The controversial fight had always been on the verge of becoming a reality as the two parties had many times attempted to reach an agreement, but had always been to no avail. According to a sport website, Bleacher Report, if there will be a fight, then it has to be very soon as the time seemed to tick away real fast. After Money’s two more fights Dan Rafael of ESPN had shared that Mayweather Jr will retire as he is now 37 years old. The American boxer’s megadeal with Showtime will soon expire in the time of his retirement.